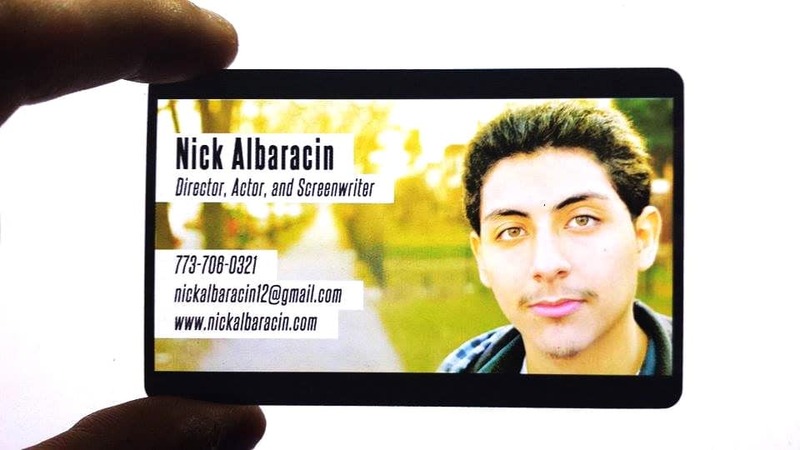 A branding project that we worked on for a director, actor, and screenwriter named Nick Albaracin. It was designed to really highlight the imagery used in his videos. The main colors are black and white to not conflict with the colors of the imagery. 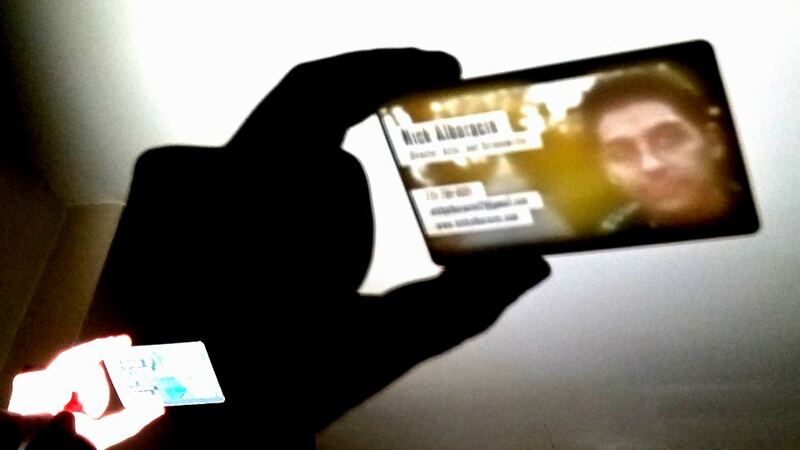 The business card is based on film and is actually printed on clear plastic to allow for projection of his information and face if one holds a light up to it. 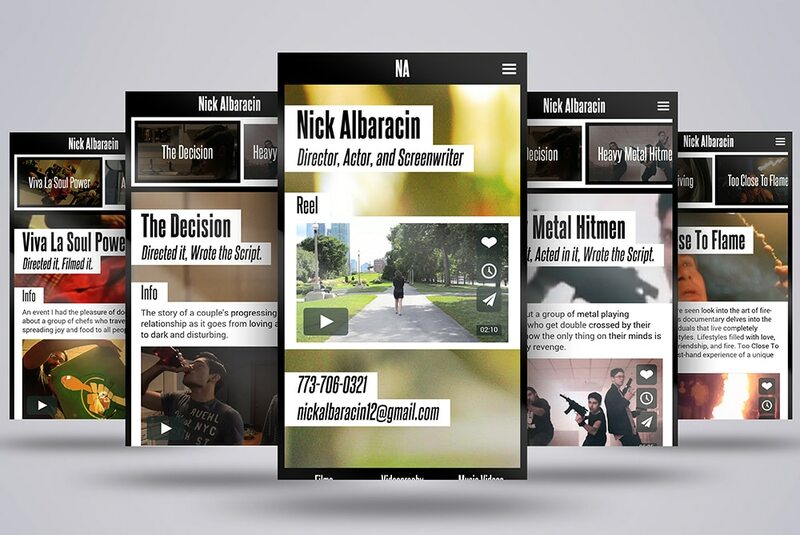 Nick’s website is designed with motion backgrounds pertaining to each of his different projects, depending on which page the user is on. When the user hovers over each of the icons on the subnavigation, a video preview is played. The website scales between all screen sizes to promote usability.